When it comes to considering your career, the available options seem limitless. However, there is one field you should not ignore. Manufacturing is a robust industry that continually needs more people. Unfortunately, this field is not as popular as it once was; yet it still remains a crucial industry within our communities. It’s also a varied industry with positions open for different talents. For this reason, a career in manufacturing opens the doors to numerous possibilities. The U.S. Bureau of Labor Statistics released a document in 2014 stating there were 264,000 open jobs in manufacturing. That is a staggering number of available jobs that need filling. The Bureau believes that number will only increase as the years pass, and those currently working in manufacturing retire. As more young people are pursuing college degrees for careers in different industries, the number of available manufacturing jobs will only increase. However, fewer people are beginning their careers in this industry. As a result, it leaves more and more jobs available. You could fill a vital role in your community by starting your career in manufacturing. Today, everyone agrees that college is expensive; it’s a massive downfall of four-year universities. More and more college students are graduating with massive amounts of student debt with no way to pay it all back. Thankfully, most manufacturing jobs don’t require a four-year degree. Instead, you would take a few skills classes, start in an entry-level position, and learn as you go. By avoiding the debt that usually comes with a four-year degree, you can save money faster. Plus, with zero student loan debt, you end up with more money in your pocket. Even better, most companies provide some assistance to associates for continuing education, if any is needed. Even though the number of people pursuing careers in manufacturing continues to drop, the need for manufactured items does not. Now more than ever, cars, machinery, appliances, and general metal works are in higher demand. The supply is still in demand, the only thing that has declined is the number of associates in the industry. 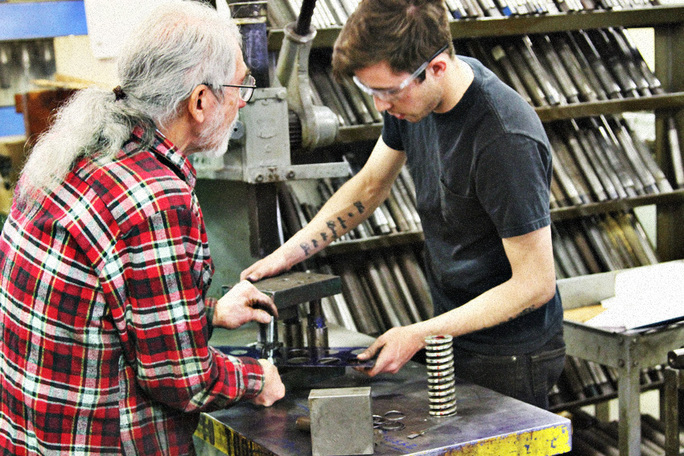 Those working in manufacturing are contributing vital skills and products to our culture. Beginning your career in this industry adds you to the number of people answering the demand for supplies. Manufacturing is in no way a dying industry. Instead, it continues to grow and develop, opening doors for those willing to walk through them. Not only are jobs in manufacturing needed, but they are also exciting. Likewise, this career is also challenging, educational, and a vital part of our culture. You would be contributing in a tangible way to our society and meeting the many needs and demands of our country. Even though college students are graduating with alarming amounts of debt, you could begin your career free and clear. LTC Roll and Engineering wants to help you answer the call today. Contact us today at 586-465-1023 to learn how you can begin your career in the manufacturing industry.